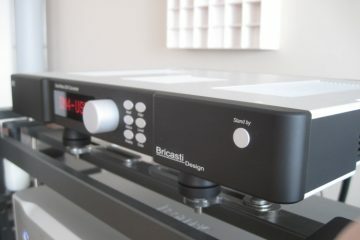 CD Transport + DAC or Integrated Player? 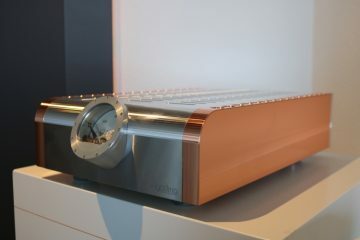 This is demonstrated with the Wadia 861 player using its inputs and outputs. 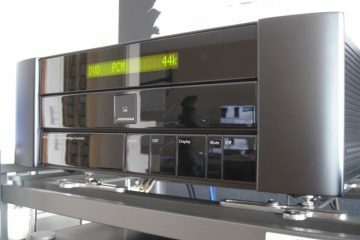 The Wadia 861 CD player has several outputs, inputs and a clocklink to link the DAC-clock to that of the transport. 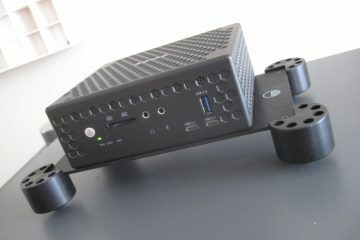 This is not only possible when using the internal transport but even configurable for use with external sources. This function was used to route the internal transport back into the player while keeping the dac synced to pevent jitter. 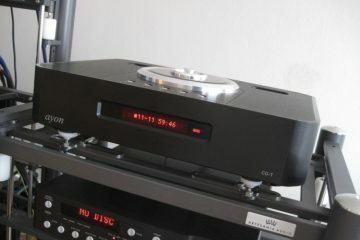 The other players don’t have a clocklink and therefore the dac has to uncover the clock from the digital SPDIF stream which is known not te be ideal. Of course many solutions have been thought up such as twin PLL loops and asynchronous upsampling and such but experience shows that while some dacs respond better to a mediocre clock signal than others, nothing beats the separate connection of audio data and clock data in their native forms from transport to dac. Inside integrated cd players it is always done that way. Inside the Wadia it is done even better: the DAC is the master and the transport is synced to it instead of the dac relying on the questionable quality clocksignal coming from the clock inside the transport. What was immediately evident as soon as the data flowed over an external cable, even with clocklink enabled, was that the sound was less voluptuous, flatter, greyer. All in all just less engaging, compared to the sound when using the player as an integrated player. The Wadia never sounded as good with external transports as it did using its own built-in transport. Even using clocklink didn’t cure the flatter, uninvolving sound resulting from using external sources. While there are gains to win in smoothness or airyness, for example when using the Marantz CD16’s built in CDM 4 mechanism, invariably the sound loses a lot of presence and dynamics. It becomes more flat and less involving. 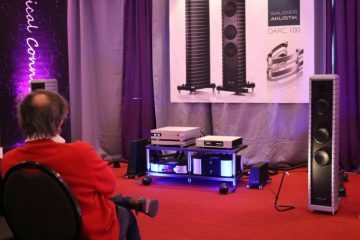 Using a PC as source also wasn’t very involving through the Wadia, whereas through the Audiomeca dac, it was much better. Apparently Wadia’s dac input is more strict than Audiomeca’s. But that’s for another story. 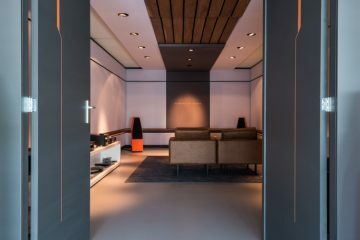 While the Wadia clearly shows the gains possible when keeping all signals pure and internal, there is no denying that separate transports and dacs can sound excellent and can also show the Wadia some tricks. I’m not saying that the Wadia is the world’s best player, but I am saying that there’s more to digital than you might at first give it credit for. Apparently input- and outputboards have their own impact on sound. Again it shows digital is not perfect forever… it is a tricky matter indeed! In my never endding search for the best cd player, I have owned the best there is and heard even more players. At this point I feel certain to state that integrated players, without exception, sound rhythmically more integer and more “right” than separate transports and dacs. 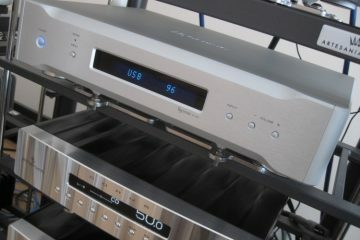 Sure, you can upgrade a cd player with a very good dac. There are many aspects of the sound that can benefit. 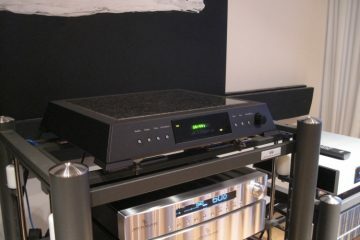 For example, the famous Marantz CD12/DA12 combo is incredibly smooth and colourful but can sound a bit slow and undynamic. 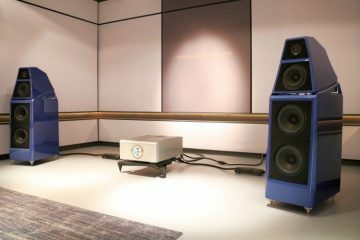 But brace yourself if you separate them and use the CD12 transport into a Levinson 360s DAC, for the resulting sound is mindblowing in terms of harmonic ripeness, smoothness and liquidity in the treble. Also, a lot of the slowness that was present in combination with the DA12 DAC, is now gone. 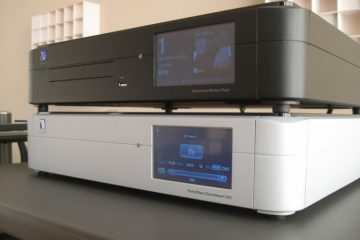 So, we’ve definitely upgraded the CD12 by adding a better DAC. However, no matter how emotionally engaging and colourful the sound, still, this combo doesn’t beat the integrated Levinson 390S cd player in terms of 3D soundstaging, rhythmic drive and allround sense of a living, breathing musical performance. Somehow, the separated player also sounds a little disjointed. 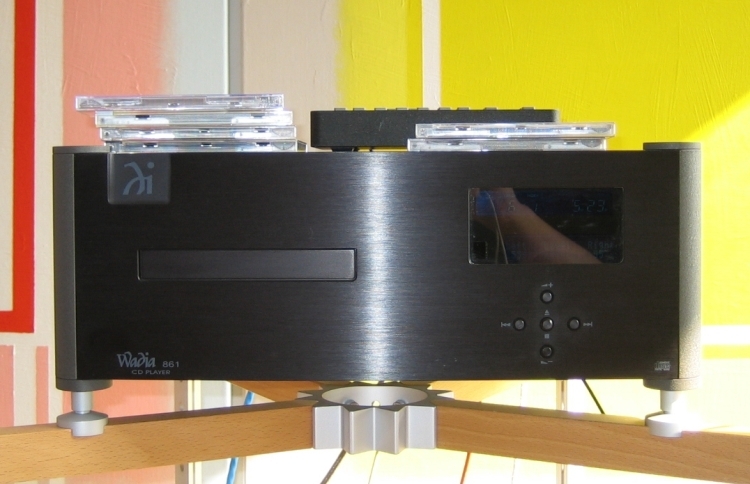 Even the CD11LE, an integrated player and official replacement of the CD12, sounds livelier, more gripping and makes my feet tap, even if it is much less harmonically ripe than the CD12/360S combo. I could go on giving examples, but my point is: do try to avoid using spdif if possible, an integrated player usually just sounds more right.